Honestly, this is just delightful on every level. There was so much more than just that tiny little snippet I linked to the other day. Although spoiler-phobes should probably stay away. On the upside, she talks about her costume quite a bit. :) Honestly, I just like her so much already. 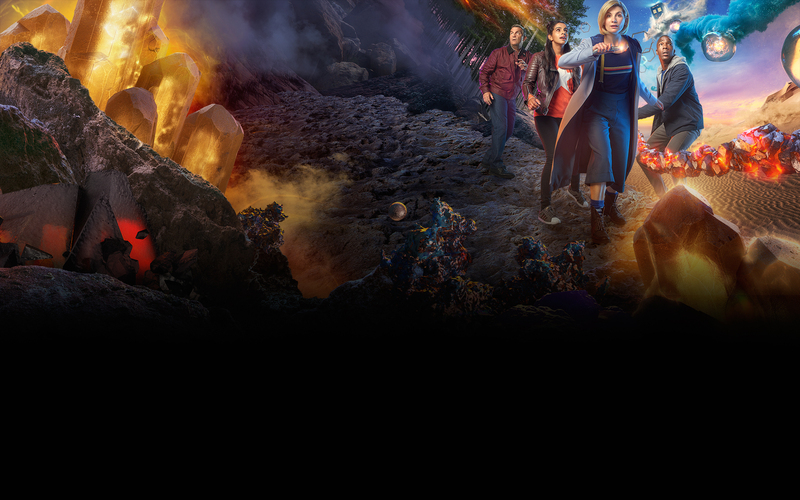 Also, from Digital Spy: Here's what you can expect from series 11. I'm guessing you have all seen the New Doctor Who Logo? I didn't realise The Last Leg was [back] on!! I thought it had finished for the summer. I have a ton of links & stuff re. the new Doctor, but tbh I'm not sure anything is gained by sharing it? Like, first of all I'll be preaching to the choir (I presume and hope), and secondly, I'm happy just being excited. ETA: It's a funny thing though, the people who are 'not sexist, they just don't want a female Doctor' (a lot of them, sadly, being women). Or who just 'don't think it's the right time'. (Which, seriously? It's good the Suffragettes and those fighting for say, Civil Rights & Gay Marriage didn't take that stance.) The best way to change things is to just go ahead and change things. Nothing happens in a vacuum. People have been talking about a female Doctor since... the 80s? Moffat introduced one in 1999. And she was brilliant. Also, I still remember how cross everyone was about Matt Smith, because he was too young and had no eyebrows. It's Christopher Eccleston (9) and Jodie Whittaker (13) in Antigone. And interestingly, her lines could be summed up as 'I do what I do because it's right!' Oh aye, she'll be a grand Doctor. In short - if you're wondering why she was cast, watch this. Big, angry righteous monologue, as if born to it. She'll be fantastic. ETA: Oh and this is just too adorable, from Twitter: My daughter watching the #DoctorWho announcement. In short: Thirteen will be revealed after the Wimbledon Men's Final on Sunday 16th of July.